Looking for a great backlinks checker tool? When it comes to SEO, you should keep a comprehensive record of how websites are linking to you and what backlinks you have earned. It’s important to find out sources of backlinks that you get on your blog since there are lots of Sammy websites that might link with you and can hamper your website’s ranking ultimately instead of helping in boosting the ranking. So, it is vital to stay up-to-date with the links that you get in order that you disavow the bad backlinks and keep the website’s backlink profile clean. Check our blog title generator tools if you use blog. To keep a track of the backlinks and spy your competitors’ backlinks, you require certain tools known as backlinks checker and analysis tools. Majestic SEO site explorer is one of the great backlinks checker tool and it has too much to offer to those people who have a great interest in backlink profiles. While your eye will incline towards total number of the external backlinksdo not overlook other important details like referring IPs, referring domains and referring subnets. All this will assist you understand where your backlink profile stands. The basic benefit of this tool is that you’re free to download link profiles of your competitors and can easily twist them so that you’ve a clear view about the strategies on how the site gained the backlinks. Majestic SEO has both free and paid plans on offer. Ahref site explorer is one of the best backlinks checker tool in this industry and unconditional favorite among the online marketing professionals, this tool offers you all the tools you need to quickly track your keywords and backlinks. Moreover, you can get a complete insight about what your competitors are doing. With Ahrefs, you’ll never need to worry about accuracy of information or whether you will be offered with the latest backlink data or not. Ahrefs free trial is available along with paid packages. This is an excellent, free tool which not just helps you obtain a range of results such as link types (dofollow, nofollow, good, missing, etc. ), page external + internal links and a brief about the page rank distribution. Both free and paid versions are available of WebMeUp backlinks checker tool. It is the Internet’s fastest growing and freshest backlink index. WebMeUp is the primary sources of backlinks data for SEO PoweSuite. WebMeUp also helps you see unique, SEO important backlinks for any website, download links of competing sites to get the best link that they have and evaluate your link’s profile and see all the links that may place you at risk. SEO Spyglass is a great new backlinks checker tool which is evaluating itself to offer great results. It’s desktop software which runs on your PC and it check for all live links at that time. You will get all the fresh links along with links not updated with this tool. Its paid package comes with a one-time free trial. Use Alexa to find and qualify websites by criteria that are important for you like Alexa Rank traffic growth rate, inbound links quantity, and much more. This is one of the best tools for backlink analysis and comes with a 7 days FREE trial. It has affordable paid packages. It is the simplest backlinks checker tool to analyze backlink portfolio of any site including yours. The good thing about this tool is that it makes use of Ahrefs’ API; therefore, you get quite trustable results. With this free tool you can get up to 1000 backlinks for every report. Backlinktest is a free and innovative backlink checking tool. This backlink checker makes a detailed analysis on sites, linking with your websites. You can analyze the websites of your competitors as well with this tool. It also helps determine the links quality. cognitiveSEO’s backlinks checker tool is a powerful tool available in both free and paid version. It offers a simple method to view the backlinks, which include historical information, real-time data, growth trends and more. You can also examine nofollow vs. dofollow, link velocity and breakdown of every link, including domain and link influence. This is a free backlinks checker tool which offers you with up to 2,500 backlinks for each report. However, its website is in Germany only. Indexicon is a tool which performs backlink analysis manually by a Certified Links Research Tool expert, Rick Lomas using Links Research Tool, the Quick Backlinks Tool. This QBL crawls backlink data from 24 different backlink sources that include the Links Research Tool proprietary database and services like Sistrix and Moz. You can use it for FREE. Linkbird helps you monitor backlinks for great SEO success. You can use it to find modified backlinks quickly and guarantee higher visibility online. It monitors all your links daily, tracks link status and even crawls anchor text. Thus you can react to any change immediately, influencing your visibility positively in the long run. No need to check your backlinks manually, Linkody has automated backlinks checker tool gives the whole procedure for you. It is an affordably priced and easy to use backlink tracker. It helps you know when you gain or lose links, identify and disavow the bad links, get insight in your competition’s link building strategies, and be more competent at link building. So, start monitoring your backlinks today itself. This backlinks checker tool is available in Russian language and thus is best for Russian readers only. It offer them with 5000 backlinks for each report. Linkpad is free tool. Get the most comprehensive backlinks profile data with this BLP tool. Now you can work with most complete backlink profile data for your competitors’ and your sites. This tool combines and recrawls 24 data sources to do this for you. This paid can also understand link growth, detects deleted links, uploads own backlink list and disavow files and analyze 97 metrics for every link. Now you can analyze backlink profile within seconds. Locate the strongest link of a page or domain fast using this paid tool. Using QBL, you can also check backlinks to individual pages or domains, filter by most essential SEO metrics, analyze numerous links within seconds and get fast overview of a backlink profile. This is another tool available as desktop software class which targets links portfolio. The free version of this tool is limited to only 100 backlinks, but with its paid version, you get the advantage of MOZ backlinks (nearly 1000) and addition bonus backlinks from crawlers of Blekko and Exalead. It can help you if you’re the owner of the link you want to test. Using this tool, you can check out your backlinks for free. To use this Bing Webmaster Tools, you should verify your blog/website in the webmaster tool simply by inserting the verification code that comes on your website/blog. Using this tool, you can check the backlinks of any domains for free. They are sorted easily by strength. The Free reports are accessible for 2 sites/ week only for each user. 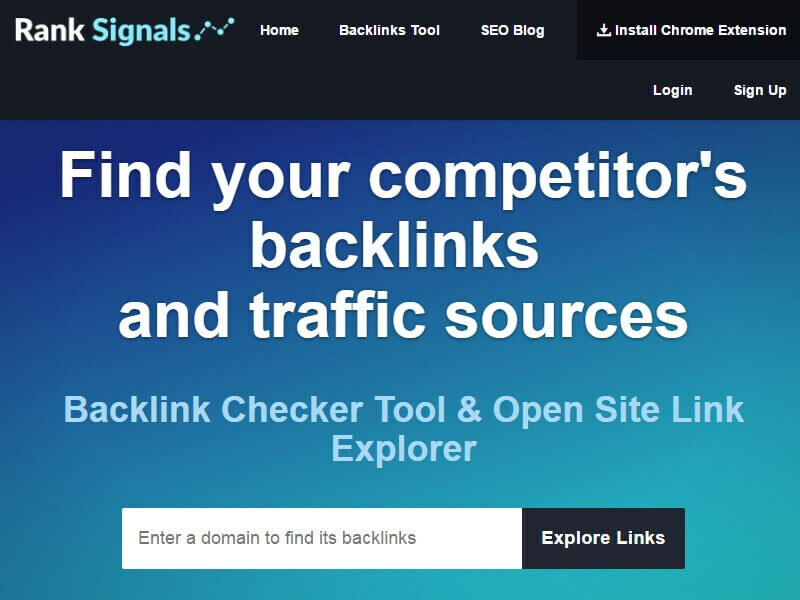 Monitor Backlinks also helps you manage your backlinks, spy’s your competitors backlinks, send you an email alerts when you lose or gain backlinks and more. Moonsearch offers you with extensive information about a site’s traffic sources and backlinks along with profound competitive analysis. Its flow rating presupposes coverage of both the quantity and quality of links. With this free backlink checker tool, you can get as many backlinks as are there in the index. This free backlinks checker tool has a large database of fresh backlinks to websites which counts to around 2,00,000 backlinks to any domain. This tool displays links which are active in last 90 days so you do not need to handle the outdated stuff ever. OpenLinkProfiler also has a links influence score for all the websites so that you quickly get an idea about the best pages based on backlinks to it. It is a great backlinks checker tool by MOZ that helps you find out who is linking with your competitors sites filtering the report through used anchor text and domain authority. This moz backlink checker also helps in understanding the main strategies of competitors to create high quality backlinks. The 3 main ways to utilize this tool include research the backlinks, locate the best link building opportunities and discover links holding your site back. You can check moz domain authority checker to identify your domain authority too. Uncover traffic sources and SEO backlinks of your competitors using RankSignals, a great backlinks analysis tool. Use this free tool to find the best links of your competitors, identify your own bad links, find broken and deleted links, no follow and dofollow links, and link signals and metrics like Alexa Ranks, Internal and External Links and PageRank. One of the most famous SEO tools, SEMRush now has added backlinks checker tool feature into its arsenal. Although, it isn’t a free tool, but you get a 14 days free trial and if you like it then you can go for a paid version. SEMRush has a wide database updated daily, letting you check your site’s backlink status accurately. You can use this tool to check backlink of your site or your competition’s sites. With this tool, now you can get overview of all the linked pages, daily updates, link the industries and pages types with extensive filtering. Searchmetrics backlinks data is based on its huge international backlinks database. With just one simple click of your mouse, you can see the backlink structure for every top domain, subdomain and URL worldwide. It has both free and paid versions. SEOkicks makes use of its crawlers for constant collection of the links data and makes the data available through website, API and CSV report. The present index consists of more than 150 billion links datasets. It has both free and paid packages available for users across the world. 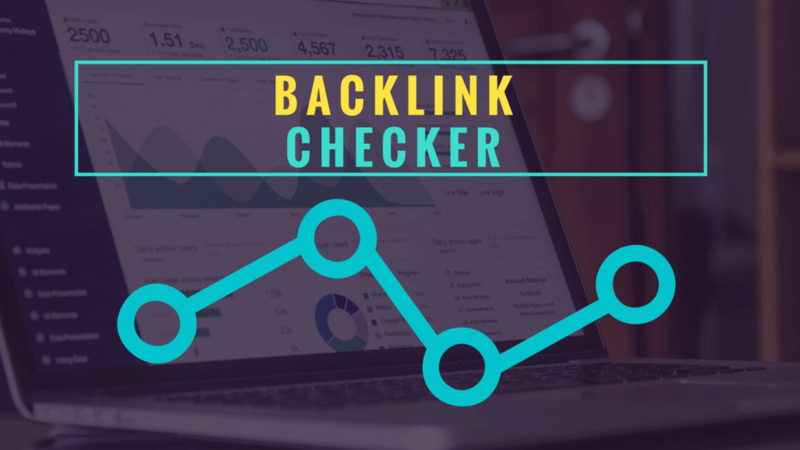 This backlinks checker tool has the functionality to check out the backlinks to a specific website that you mention. It is available for free of cost and offers up to 1000 backlinks for each report. It’s a useful tool for the bloggers who are hard with their budget. Analyze the link of any site and optimize links of your site using SEOprofiler. This tool helps you find out which pages get the most links, which keywords get linked often, which words are utilized to link to pages, how old the links are, the context and category of linking sites and more. SEOprofiler has both free and paid versions. Site Explorer is known to be a search engine for backlink. This amazing and fast backlink analysis tool is available for free and t comes with as many backlinks as are there in the index. If you are a registered member you will get around 100 credits for free every day. Moreover, the backlinks are also updated on a daily basis. With such a lot of Kerboo tools to make use of, there is one paid tool that helps you understand your links profile better. It is known as “Monitor.” One of the best features of this tool is its ability to make a list of the links that you think are the most important ones. With this enabled, system will check the links daily automatically. If you wish to keep the bad links away from your profile- Kerboo will do that too. If you wish to add some power in your online advertising tool, then SEO PoweSuite can be a great addition. Without the right tool on your end, analyzing your links profile can be stressful, time consuming and frustrating. But with this backlinks audit tool, you can leave these issues in past. You can use this tool for learning link quality factors, list of backlinks pointing to your website, backlink reports and anti-penalty audit. With each report of this FREE tool, you get access to very high level information like number of backlinks, backlinks status and more. Web SEO Analytics’ Link Popularity tool lets you get the view of pages pointing to your site is a couple of clicks only. This tool’s report will offer you with number and precise URLs which link to your site. You get both link quality and link quantity with this tool. It offers you with up to 1 report/ day and 1000 backlinks/report. This tool is available in both free and paid versions. Let me know if anything I missed here. Why Is SiteGround Known To Be Crafted With Care? Media Temple Hosting- Is It Really Reliable And Worth Your Money?